Want to launch your podcast to the top of the charts and keep it there? You can do it with a simple 9-Step Podcast Launch Plan. 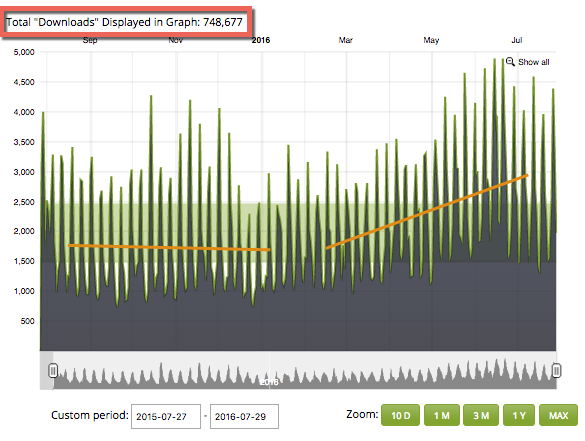 Get the exact process we used to plan, launch, record, edit, and distribute a podcast that hit #1 on the Business charts and New & Noteworthy in just a week. Get started now. I’ll be honest — we were reluctant to start a podcast. What equipment/software will we need? Will it be worth the trouble? But those accomplishments are nothing compared to the relationships we’ve developed and fostered, with cold prospects and customers alike, because of the podcast. It’s done more for our mission than we could’ve imagined. We did things wrong. We did things right. One thing I didn’t anticipate — podcasting is FUN! Especially when you podcast with great people as I’ve done with Keith Krance and Ralph Burns of Dominate Web Media. Without them, this journey wouldn’t have been nearly the blast it’s been. What we found is that we could make a lot of mistakes as long as we got the most important thing right: THE LAUNCH. When you get the launch right — you can screw up a lot of things and still get tons of exposure on iTunes. The iTunes algorithm rewards podcasts that come out of the gates with lots of momentum and gives zero exposure to those that launch with no momentum. When you launch on iTunes, you’ve got eight weeks to prove you have a podcast worth listening to. Seriously… the launch is that important. We didn’t rush into launching, we wanted to make sure we got it right. Because we got the launch right, we were able to make mistakes and recover from them without damaging our ranking on iTunes or losing our subscribers. Thanks to all of our listeners! It’s been a wonderful year of podcasting, and I’m looking forward to another 52 episodes of the Perpetual Traffic podcast.